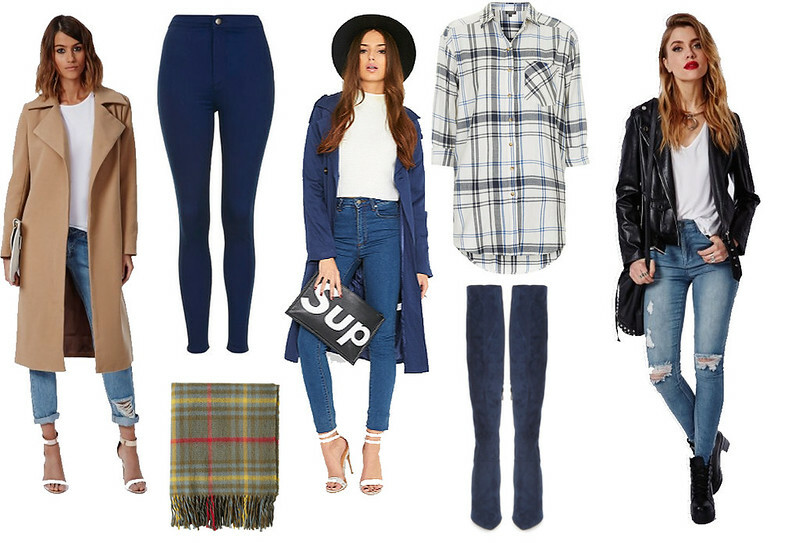 It feels like ages since I last posted my weekly high-street picks. I've been loving so much on the high-street lately and my current fashion obsession is coats! I just can't seem to get enough of them. I've been loving so many of the coats available on Pretty Little Thing at the moment. Another thing I've been loving at the moment is high-waisted jeans. I think they go with so many outfits. I love wearing them with trainers, ankle boots and just an over sized jumper with a statement coat. I think checkered shirts are coming back in fashion and this one from Topshop is amazing. I love the colours on it and I think they'd look amazing with the blue suedette boots from Pretty Little Thing! Love the items you selected !